The Civetta Ski Centre is located adjacent to the cable car entrance in Pecol. 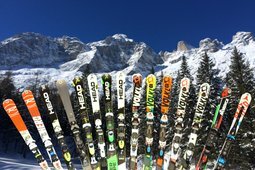 It is run by the Balestra family who, since 1975, has provided rental of winter sports equipment of all types: a wide range of alpine skis and snowboards, snowshoes, and bobs. 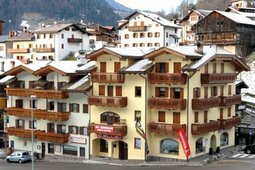 The Guadagnini Ski Rental Shop is your trusted rental shop in Alleghe; it is located on Piazza Kennedy close to the parish church of Alleghe and to the ski lifts of the Ski Civetta, easily reachable on foot from the store.